Chakra Bonded Pencil Pendant is a lovely pendant. It can be worn with any attire. 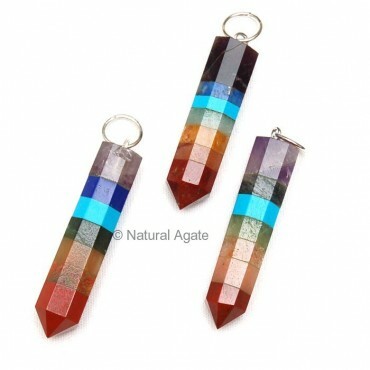 Chakra stones are arranged in the same order as the chakras are in the body.